Sky Blue has struggled all season, in contrast, North Carolina is the most successful team in the league. 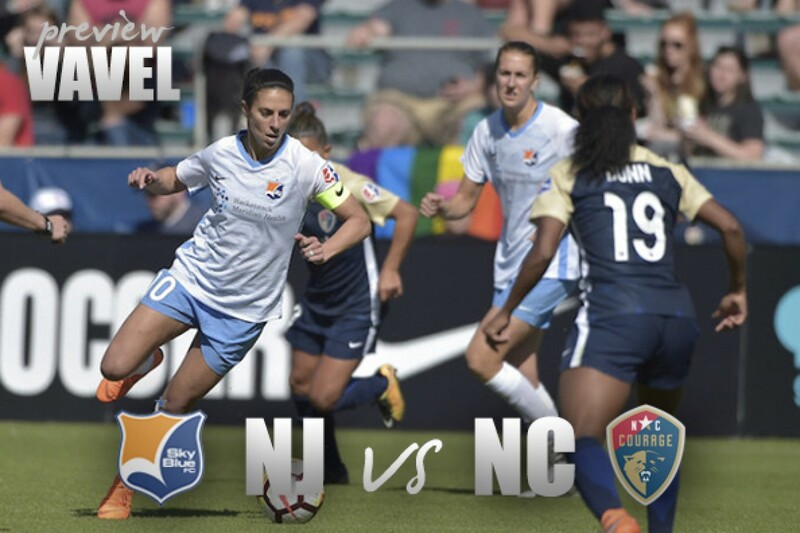 Sky Blue FC hosts the North Carolina Courage in Week 16 on Saturday at 7 pm. The Courage can become the first team to clinch a playoff spot with a win over Sky Blue and if a series scenarios across the league fall in favor of North Carolina. The full list of how North Carolina can clinch a playoff spot and how they can clinch home field advantage can be found here. The Courage are coming off a 2-0 Wednesday night victory over the Washington Spirit. After Wednesday North Carolina’s record improved to 13-1-3, however, their opponent this weekend is 0-11-3. The game will be aired on go90 and tickets can be bought here. This is the two teams third meeting of the year, they met previously in Week 2 and Week 8. In week 2 the Courage beat Sky Blue 1-0, and in week 8 the Courage beat Sky Blue 2-1. 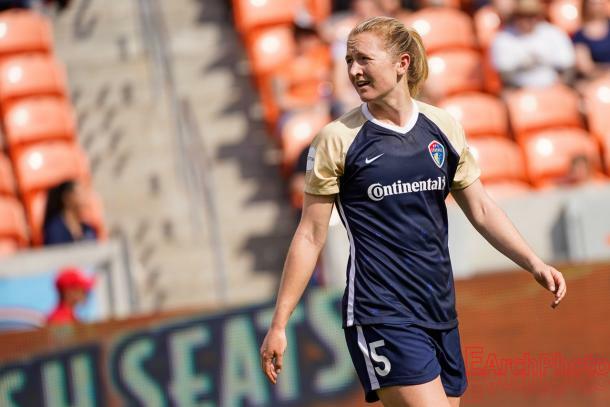 Heather O’Reilly made her first start on Wednesday after returning to the NWSL. This weekend O’Reilly will be returning to her home state of New Jersey to play there for the first time since June of 2016. The Courage have dominated the league all season, much like they did last season which saw them to an NWSL Championship game. The only loss the Courage suffered came to the Utah Royals FC after a stoppage-time winner. The Courage are the only NWSL team to play in the first ever Women’s International Champions Cup. North Carolina will take on Paris Saint Germain of Division 1 Féminine on July 26th at the Hard Rock Stadium in Miami, Florida. The winner of that match will play the winner of the match between Manchester City and Olympique Lyonnais. After Sky Blue’s 11th loss of the season on Saturday the former Sky Blue player, Sam Kerr spoke to Dan Lauletta @TheDanLauletta on Twitter where she said that she was not happy to be playing against Sky Blue. Kerr even went so far as to say that “I wish things were better here and that I could stay. I scored a hat trick, but I wasn't myself today. I feel sad. I feel sick playing against these girls.” Fans, players, and media on Twitter then called on Sky Blue to make changes to the organization, some specifying that the facilities are not acceptable. Sky Blue responded on Monday indicating that they are aware they must be better and appreciate being held accountable. Since then nothing further has come out of Sky Blue with specifics of how they plan to improve. A win this weekend is not expected, but Sky Blue has beaten the Courage in the past. Last July Sky Blue beat the Courage 1-0 on July 1st.